Communication should both be effective and efficient. In any organization, a bulk of communication happen among team members and middle management. There are many areas that can be improved to have effective communication for team members and middle management in order to meet organizational objectives. In this article, I’ll focus on few such areas where improvement can happen. In any organization, there will be introverts, extroverts as well as ambiverts. However, it’s more complicated for introverts to process interactions and events. Introverts carefully attend to their internal thoughts and feelings at the same time. If the reporting supervisor of the team member is an extrovert, he or she may feel the communication gap when quick, spontaneous and confident decision-making is required by an introvert team member. If the reporting supervisor is an introvert, then the impact on productivity will be greater. In such cases, the team members should report to higher authorities in skip level meetings which are conducted periodically within the organization. It doesn’t mean being introvert is bad, however, improvement is necessary. A pre-determined mindset affects communication. Minimizing or avoiding predetermined mindset tends to increase internal communication encompassing both official and unofficial channels. This will also help the team members deliver effectively and productively. With a pre-determined mindset, either the line manager’s or team member’s communication becomes one-sided. This should be avoided, because communication is never one-sided. Also, the process of communication involves more than just words and communication is mostly nonverbal in nature. While communicating, team members and middle management need to have presence of mind, too. Internal communication should be an optimistic approach to keep everyone informed and have a climate of openness, which leads to an increase in productivity. Listening involves interpretation and spontaneous analysis of manager work and/or administrative instructions. Listening requires proper feedback by team members in-line with the work targets. Immediate supervisors are also equally responsible to practice listening while getting team members’ valuable work inputs and ideas. This keeps team members motivated with proactive approach leading to increased productivity. Autocratic managers, on the other hand, many times communicate in one direction. They need to ensure more bidirectional communication, one-on-one meetings with team members and improvement in listening skills. Team members when not convinced with the work instructions per self-analysis then they need to interpret keeping in view of reporting supervisor’s instructions aligning with the work targets, follow ground rules and work ethics for effective team communication. Team members and middle management should have broad awareness of organization’s vision, mission, and goals. These are essential to avoid biases in communication. Biases in communication have severe impact on its fidelity and hence effectiveness. No organization operates independently on its own, rather it exists within the larger ecosystem of the enterprise. There will be suppliers, contractors, regulatory bodies and partnering organizations, with whom top and middle management as well as team members interact. Hence, they should have awareness of different organizational cultures for effective team work and effective communication. Politics is inevitable and it will happen in any organization. Politics when used for the betterment of projects leads to good outcomes. However, when the inherent political culture leads to biases, then communication become problematic and many times, this leads to pre-determined mindset and communication gaps. Middle management and team members should be politically aware and avoid such kind of biases. In conclusion, I would say organizations should have mentor trainings and periodic counselling for both team members and management to ensure effective communication. Installation and Execution of Industrial Projects in Oil & Gas, Power Sector, Plant Commissioning. Microsoft Project is a widely used tool for project management in industry. Not only it enhances your understanding of project management, but also brings more opportunities in professional life. I've used MS Project 2013 from ManagementYogi first in April, 2017 and recently got an extended access. The MS Project 2013 video course is a very useful method of learning the MS Project software. Entire course in video format: It’s very detailed course and yet a point by point approach on how to use this particular software for implementing the project management techniques. 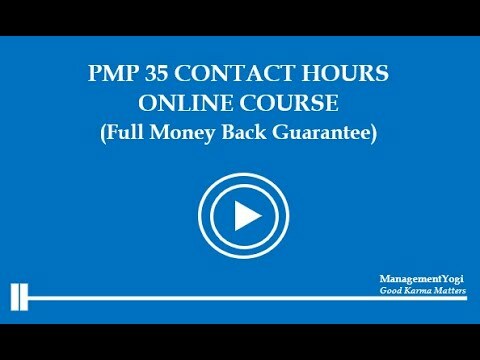 The course’s lessons are with various .mpp files and explained in video format. Jumpstart for Novices: The course starts from the very beginning of downloading the correct version software based on the system configuration and how to proceed. Many Exercises: The course has a structured way of first defining the problem in the lesson exercises or assignments after each lesson, and letting out the user to check his or her existing knowledge post which the user can validate the result with the answers. This boosted-up my confidence as I proceeded with the course. Advanced Topics: Coverage of advanced topics like using master projects, earned value management etc. It has been extremely useful. Revisiting Important Points: Across different chapters, important points have been revisited. Project management definitions along with managing scope, cost and time will be very difficult task when carried out on papers. The details and the important points given by Satya sir has made this course easy to understand and implement. Exhaustive Coverage: Satya sir has made it very easy with his expert knowledge on concepts related to settings, creating a new plan, adding resources to tasks, best methods to plan duration, cost and time, to track progress, and advanced scheduling. This course has all of them. This course also mentions what is the best approach for each topic or lesson. As we are all aware that visual and hearing method of teaching is very effective, same holds good for this course. I would like to thank Satya sir for putting his effort and time to bring out such a crisp and effective way to understand and master the concepts for MS project 2013. 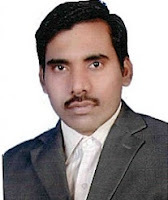 Ajanta Behera: I’m currently working as an Associate Project Manager, Standard Chartered Bank. I’ve experience in various domains - Clinical, Insurance, and Finance. A couple of years back, my organization transitioned from traditional model to agile model. In particular, many concepts from Scrum framework started being used. It made me think and I decided to dive deep into various Agile approaches. 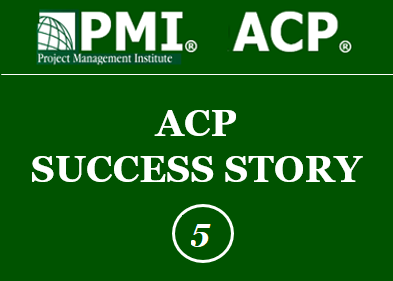 I searched for various possible certifications and finally opted PMI-ACP since it’s a globally recognized one and will help me to become a skilled agile professional. I attended 3-day contact hours session (21 hours) conducted by Satya Narayan Dash. The session was incredible. His way of teaching is so commendable that I can still recollect the tips and tricks, examples, quotes etc. It helped a lot to recall exam topics and formulas later. On final day, there was an evaluation by Satya and based on marks scored, we all came to know how much time we may need to take up the certification examination. I scored least in the class (52%) and Satya told me that I may need another 8 months for my preparation. On final day, Satya also gave an overview of all reference books and their pros and cons and also how to get the essence of all reference books in a single book etc. I thought to go with a slow pace. I used to spend minimum 1 hour daily during my commute to office for reading books. There were days where I read 20 plus pages in a single traffic signal. Thanks to Bangalore traffic :-). I used to make notes on important points because I was not sure whether I will read same book again. I referred few books noted below and also used books my organization’s library and other sources. I read first two books twice. 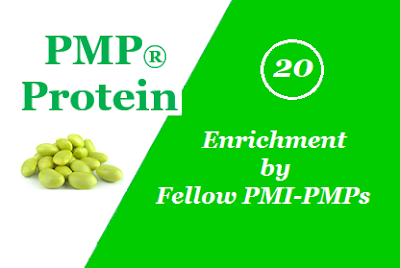 After 8 months, I became a member of PMI. Next, I thought of doing some hands-on agile practices. Hence, I conducted 3 retrospectives within our offshore team during this period. I used different retrospective tools each time. It was an amazing experience. My team really enjoyed the retrospectives since it was entirely different from boring post mortem meetings. This encouraged me to experiment more. In March 2018, PMI added one more book as a reference – Agile Practice Guide. I read it once. It was just a repetition of what I’ve already covered. After few months, I submitted application form and scheduled for the exam. Before the exam, I took 5 days off from work and revised what I already covered. I practiced as many online exam questions possible. The day before the exam, I revised only the exam content outline (ECO) tasks, which helped me immensely to answer situational questions in final exam. I purchased ACP Exam Prep Book - "I Want To Be An ACP" by Satya without any second thought. Later on, during my studies it helped me to recall entire classroom sessions. It contains videos on important topics, ACP formula gold cards, tips and tricks, mock questions from each exam domains and 3 full length exam question sets and answers. Also, the book has important points that one should take care - before, after and during the exam. After purchase of the book, many updates were added to the book and they were all free of cost. I reached exam centre before 2 hours spend first 1 hour revising ECO and then reported the prometric staff. They guided me inside and after check-in process, they shared scratch papers, 2 pencils and 1 calculator. There were many people waiting for different exams. The exam room was crowded. Hence, I used head set. After going through the exam’s beginning tutorial, I immediately started attempting the exam questions. My strategy was to complete minimum 40 questions per hour. Most of the questions were situational and for few questions I didn’t have any idea at all. There were a few generic situational question, too. I didn’t get question to apply formula. After every 1 hour removed headset and relaxed for few seconds – because the exam’s time duration is 3-hours and it’s physically exhausting. I had 10 minutes for my final review. I reviewed few questions and submitted 3 minutes before in restlessness. I might have make some mistakes in a hurry. I closed my eyes and reopened after few seconds. Congratulation screen appeared in the monitor. I felt proud of myself. I got an overall score of “Above Target”. Try to do hands-on by applying agile practices. This will help you to crack situational questions. Never try to memorize exam topics. It won’t help you in exam and in the long run. This certification encourages me to continue as an Agile Practitioner in my professional life. I believe we can apply agile practices for continuous improvement in all areas including personal life. 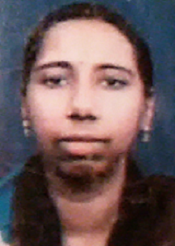 Priya A.M, Working as a Senior Consultant in an MNC. Book for ACP Exam Prep: "I Want To Be An ACP"
PMI-ACP Success Story: Innovation Games Make The Difference! 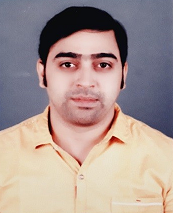 I passed my Certified Associate in Project Management (CAPM) examination on 16th March, 2019. I completed my PMP/CAPM training in the month of November 2018. Going for CAPM certification was an act of official profile augmentation. The classes for PMP/CAPM were led by Satya Narayan Dash in November 2018. He is a veteran in the turf of project management. 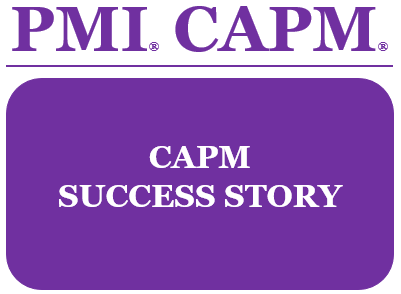 At the end of the session, an evaluation was done and based on it, I was asked to appear for the CAPM exam in March, 2019. I was apprised by Satya to clinch the exam date and then prepare for the exam. As per the directions given, I scheduled my exam on 16th March, 2019. Post training, I planned to go through the PMBOK Guide 6th Edition to comprehend the concepts before D-Day! PMBOK 6th edition is not so subterranean to describe all the project management theories. Hence, I began researching online, studying numerous websites to congregate an in-depth knowledge of the portions corresponds to PMBOK guide concepts. These are the websites which I used for reference. Following are the books I referred. My preparation started with the CAPM Handbook. It furnishes a definite frame of the examination. Initially, I read the book and then proceeded with the PMBOK guide for the same chapter. A mix and match approach assisted me to understand the concept. “The Standards for Project Management” renders a framework about the "Process group". ITTOs (inputs, tools& techniques, and outputs) performs a significant role to grasp the project management fundamental. Above said artifacts encouraged me to work on the ITTOs and the process flow. Designed a mind map for all the knowledge area and the processes. Every day I consumed around 2 hours for the preparation. Satya bestowed a few essential files which explain critical path, earned value management (EVM) calculations and other concepts. Exam excitement made me be on sabbatical for a few days to revise and accommodate myself into the exam mode. I scanned all of my training notes. These were the decisive last moments. I have travelled through all the possible hard-hitting prep questions which I had compiled, exercised all my brain-dumps, and started going through the PMBOK glossary. The exam was pretty multifaceted but had very crafty questions. Fortuitously, I received 2 questions associated with EVM and critical path. I finished the exam in 2hours and 40 minutes. I utilized the remaining 20 minutes to analyze the questions. The inspection was considerably fruitful. I snubbed the exam survey due to anxiety. The moment of truth then dawned when I clicked submit, the moment I’d been waiting for, these past few months was here at last. “Congratulations on Passing the PMI Examination” appeared on my screen. It was an exalted feeling to see that and I gasped a deep sigh of relief. I marched out with a big smile on my face, returned all the scratch material to the facilitators and collected my results. As I drove out and away from the building I shared the moment of delight with my family and friends. It was an awe-inspiring feeling, a wondrous journey and I’m very glad I made it this far. This experience provided me with immense self-confidence and encourages to streamline my goals. I would like to take this moment to personally thank Mr. Satya Narayan Dash. I hope my experience helps you to prepare yourself to endure the exam. All the to everyone preparing for the CAPM exam, and wish you good luck! Current Role: Working as a Solution Consultant for Hewlett Packard Enterprise, India. I've over 12 years of work experience. Project Charter - The Birth Certificate Of A Project!